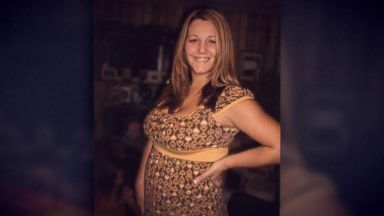 Reporter: It's been nearly ten years since 26-year-old Kenzie Houck was brutally murdered in her bed, her unborn baby boy killed along with her. Kenzie was feisty, funny, always had a beautiful smile. Liked everybody. She loved her children. That's all she ever said when you say, what do you want to be when you grow up? I want to be a mom, I want kids. Reporter: Since her death Kenzie's family has raised her daughters Janessa and adline, their lives a loving tribute to their mother's memory. We used to dance and sing on the fireplace. That was my favorite memory. I'm just like her. I am her little mini me. 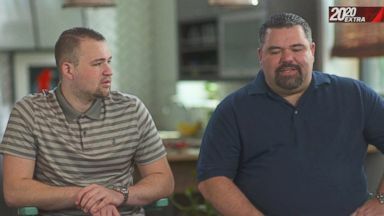 Reporter: Tonight Kenzie's younger daughter, Adeline, 4 then, now 13, is coming forward publicly for the very first time with an account that flies in the face of the prosecutor's timeline. Remember, she was asleep upstairs at the time of the murder. The gunshot was what woke me up. I was so young, I did not know what the sound was. I was just going to walk in to wake her up and her phone rang. I answered the phone. I was like, hi. They were like, can I talk to your mom? I went to wake her up and her face was facing me. I was like, hey, mom, wake up. And when I turned her over, I realized. Reporter: Adeline says she realized her mom was dead. I went outside. And I asked the tree men that were cutting down trees. Went back into the house and I remember a very nice cop had sat me on the chair and told me everything was going to be all right. And I just sat there and cried with my little blanket. Reporter: A tree trimmer spots Adeline sometime after 9:00 A.M. So according to Adeline's account, Jordan and Janessa, on the bus at 8:15, would have been long gone when Kenzie was killed. Police and Jordan's attorneys say they have never heard Adeline's account. Investigators say after so much time, it's not credible. 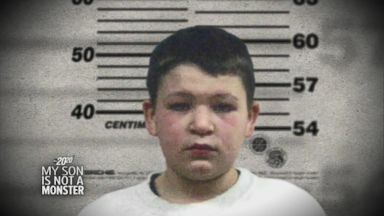 Yet some members of the Houck family still believe Jordan is guilty. It's real life. I think it's a shame that one minute, two minute decision he made ruined so many lives and took away two lives. It's heartbreaking. I can't believe why someone would want to kill -- I just kill -- I just don't know why, whoever did it, I'm not going to say who -- Reporter: Furthermore, former trooper Bobby Mcgraw is still convinced that Jordan brown is guilty of first degree murder, despite the Pennsylvania supreme court overturning his conviction citing lack of evidence. This case was investigated by some of the finest police officers in this country. Every trooper who investigated that case feels the same way. We did not get this wrong. We didn't get it wrong. If those troopers were standing right here, what would you say to them? Shame on you. Is probably the most polite way to put it. You took an 11-year-old's childhood away from him. You've ruined his name. I mean -- you Google Jordan brown, you get that mugshot picture that pops up. You think that this accusation led to a real killer getting away with murder? Absolutely. And that's disturbing. There's a murderer walking amongst us that has been overlooked. Reporter: Jordan brown, meanwhile, is finally a free man. No longer a terrified 11-year-old boy. During Jordan's long taught himself how to play guitar. He also became a pretty good basketball player. Released from detention when he was 18, through it all, he says he harbors no ill will. I'm not angry. I think the whole what happened and the way it happened is B.S. There's still some people who will never be convinced. Kenzie's family. I'm heartbroken. My heart goes out to them. Reporter: Through the years of bitter controversy, one truth never up for debate. Kenzie and her unborn child will never be forgotten. I still love her. I miss her every day. Reporter: Today Jordan brown is determined to leave his past behind, to focus on college and brighter days ahead. That song was called "She talks to angels" by the black crows. What do you want to tell the world about you? That I'm innocent. That's the only then I really want people to know. 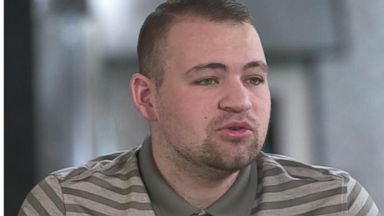 Jordan Brown, now 21, shares the conditions he faced after his arrest at age 11 for murder and his life today after his conviction was overturned. Twenty-six-year-old Kenzie Houk had been shot in the back of the head, and police charged Jordan Brown, the son of Houk's fiancÃ?? (c), for her murder.